A father’s petition calling on the National Health Service to fund a drug to treat his son, who has a rare life-threatening kidney disease, has attracted more than 300,000 signatures. 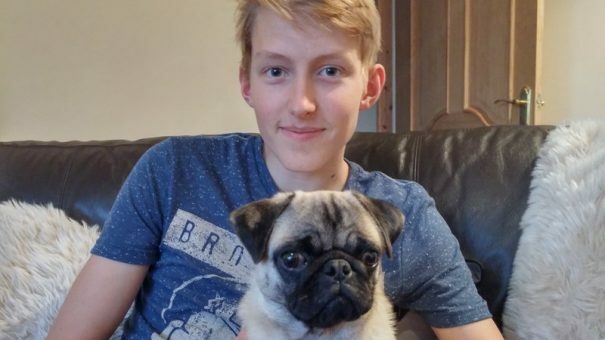 Nicholas Jones, of Chester, said his 15 year-old son, Matty (pictured), has the very rare and life-threatening condition, Dense Deposit Disease (DDD). Patients are increasingly taking to online petitions, backed by social media, to campaign for treatments to be made available. In March, the government rejected a call for the meningitis B vaccine to be made available to all children. Last year, thousands of patients signed a petition calling on Roche to drop the price of a breast cancer drug. Jones said in the petition that the disease is slowing destroying Matty’s kidneys and conventional therapies such as steroids have no effect. He added that there is no recommended treatment available on the NHS. It looks like his kidneys will fail and he will need a transplant – but Alexion’s Soliris (eculizumab) could stop his deterioration in an off-label use. In its licensed use in Haemolytic Uraemic Syndrome, Soliris costs around £340,000 per year. Jones is calling for the NHS to pay for the drug in an Individual Funding Request (IFR) – but unfortunately the process requires that patients are clinically exceptional, said Jones. There are no clinical trials as the disease is too rare, but case study evidence suggests Soliris could be used to treat Matty, according to the petition. “So because there are a handful of DDD patients they are all effectively banned from using the IFR route,” Jones said. Patients in Scotland and other patients in Europe are being treated for DDD with Soliris. Insurance companies in the US are funding the drug for DDD, Jones added. NHS England said IFR decisions can be appealed as clinicians can resubmit applications with additional evidence, or if the situation becomes clinically critically urgent. No such review has been made in this case. Kidney transplants can still be successful for patients with DDD, NHS England said. An NHS England spokesperson added: “These are incredibly difficult situations, and we have every sympathy with all patients with rare diseases for which no reliable treatment exists. NICE has also published an evidence review of Soliris as a treatment for DDD, but this is not guidance and does not affect funding decisions.